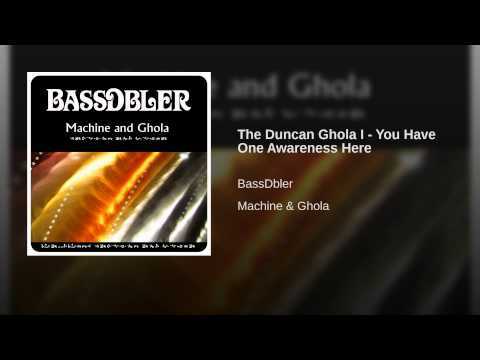 ICYMI – I have decided to make Machine and Ghola available for free from the BassDbler.bandcamp.com site. The album will still be available for purchase from iTunes and Amazon, available for streaming from Spotify, Apple music and Rdio, etc. (and technically, you could still pay something for it from bandcamp). Primarily, I just want the music out there. I want you to have it. I want you to share it with your friends. I don’t want having to purchase something to get in our way. I do not believe this is devaluing the work. I would still happily accept whatever you want to pay to help with the next one. The album is already out on services I didn’t even know about (it’s on some music streaming TV service in Japan, apparently). I think something similar is happening in France, but I haven’t been able to track it down. I like this. If really like to meet fans from around the globe. If that’s on Twitter or Facebook, cool. I’d also love to come to you, play a show, have a chat. Please reach out. I’m serious.